Occasionally in our lives, we meet someone who shows us the way, not because they stand up and say follow me, but because they live their life in a way that quietly sets the example for each of us to follow. Those individuals are servant leaders, living their home and ‘fire’ lives as the example that makes everyone around them strive to be better. 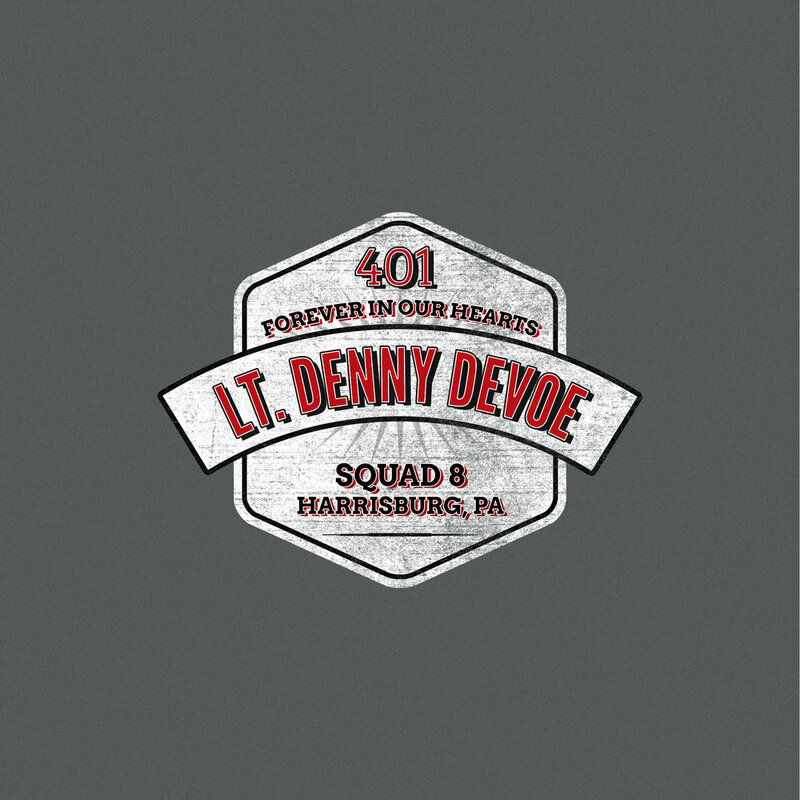 Lt. Denny DeVoe (Lieutenant 401) was one such person. Humble, reserved, compassionate, concerned and dedicated. His life centered around making the lives of everyone he came in contact with better, in any way he was could. His choice to live his life in this way, coupled with his humble leadership, had a significant impact on so many. From his family and home town, to firefighters and the communities he served, there was no one that wasn’t better for having known or come in contact with Denny DeVoe. Among us are individuals who go about their days following the course that Lt. DeVoe set as well as setting standards and examples of their own. We feel that these humble servant leaders should be acknowledged for all they do, and for the examples they set for others to follow. To acknowledge in a small but grateful way, and to thank these individuals for setting their own high standards, we have developed the Forever 401 program in Denny’s memory. Forever 401 will allow members of the fire service to acknowledge their brother or sister firefighters, who they feel are living their lives to the standards that Denny set, both at home and at the firehouse, and who as individuals are setting their own examples, in their lives and communities. If you know someone who reaches this bar in their daily life, please consider nominating them through the Forever 401 program to receive free tuition for the 2019 Art Of Firemanship Days conference in Harrisburg, PA.
Each of these nominees must be humble, reserved, compassionate, concerned and dedicated just as Denny was, as well they must stand up for what is right, and quietly lead those around them. One individual will be selected based on the merits outlined in their nomination and will receive a full tuition scholarship to this year’s event. This initiative will be funded through the sale of one of a kind Forever 401 t-shirt and moving forward, it is our hope to be able to send as many students to the conference as the fund will allow, all in Lt. DeVoe’s name. Please take the time to help us honor our brother and to acknowledge those around us who quietly show us the way, just as Denny did. THE NOMINATIONS WILL BE ACCEPTED FROM WEDNESDAY FEBRUARY 6th UNTIL WEDNESDAY FEBRUARY 20th. THE DESERVING PERSON SELECTED WILL BE NOTIFIED BY SATURDAY, March 2. Thank you! All submissions will be carefully reviewed and the nominator will be directly contacted prior to the last week of February. Arrangements will then be made to contact the winning nominee. 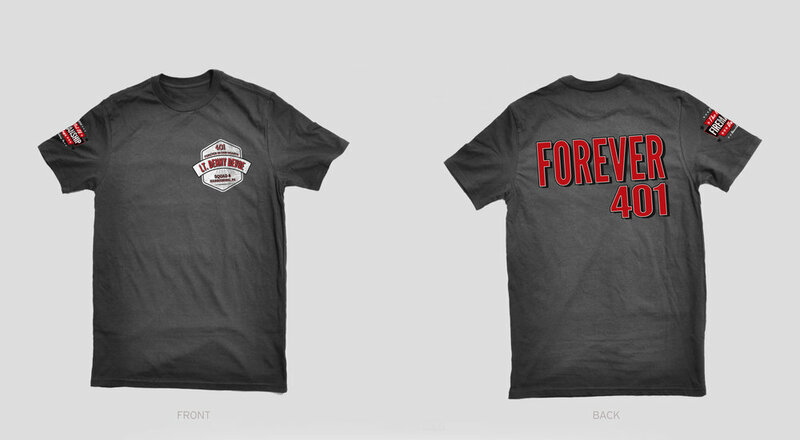 The FOREVER 401 t shirt design incorporates the memorial patch that appears on all Harrisburg Bureau Of Fire Apparatus on the left chest and the FOREVER 401 logo on the back. The Art of Firemanship Days logo appears on the right shoulder. The shirt will be available in a charcoal gray and will sell for $25.00. It will be available at the Art Of Firemanship Days swag booth at this years event.